The credit card sized wonder that we’ve been referring to as the Raspberry Pi computer has just received a new successor which becomes its third main iteration. This version has adopted a 64-bit processor as well as Wi-Fi and Bluetooth support, while still maintaining its ultra-cheap price tag of $35 or £30. 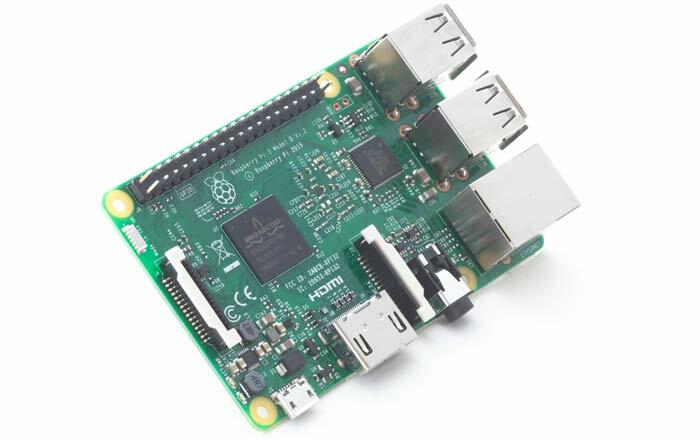 The board now makes use of a 1.2GHz 64-bit quad core ARM Cortex-A53 CPU which helps it dole out 50 percent more power than the Raspberry Pi 2. The introduction of onboard Bluetooth 4.1 and 802.11n Wi-Fi means buyers will no longer be needed to buy separate dongles to enhance the Pi’s connectivity. It must be noted though that this computer requires a power input of 2.5A rather than 1.8A. The RAM on the Raspberry Pi 3 remains steady at 1GB, but its power has been raised to 900MHz from 450MHz. Same is the case for the graphics unit which is still the VideoCore IV, but is clocked at 400MHz rather than 250MHz. Unlike similar boards out in the market right now, Raspberry Pi 3 still doesn’t support 4K visuals. The reason for this according to Raspberry Pi Foundation CEO Eben Upton (via Engadget) is that moving to a new video codec block will squander backwards compatibility with previous Raspberry Pi products. This is particularly hard to do for the company owing to the fact that there are more than 8 million of its systems out in the market right now. It now remains to be seen how quickly the Raspberry Pi 3 manages to inflate that number furthermore. It has already been made available to buy via the company’s regular retail channels.